Shop online for a relaxing shopping experience. The larger your circle of family, friends and coworkers, the smarter it is to buy gifts online. 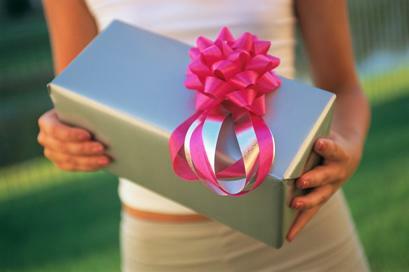 Occasions for giving are many, including birthdays, holidays, baptisms, weddings and more. The list can seem endless, and so can the time spent shopping. You can maximize your time while you minimize your disappointment in poor-quality, lackluster items that you wouldn't want to receive yourself. Test-drive an online gift service that helps you to select and order unique, stylish or fun mementos. The beauty of buying from a comprehensive online service is the incredible selection. Imagine how long it would take you in conventional stores to choose Mother's Day, birthday and graduation presents for friends or family members of varied ages. With a service, you can find unique offerings for everyone on your list. You can also get special features and conveniences, such as a gift-finder search engine or custom printing and engraving. Such options will not only personalize your presents, but also save you an extra trip to yet another store. When you add up the number of gifts you buy in a year and the time and gas money you spend, ordering from an online service, such as Abernook, is clearly a way to save.